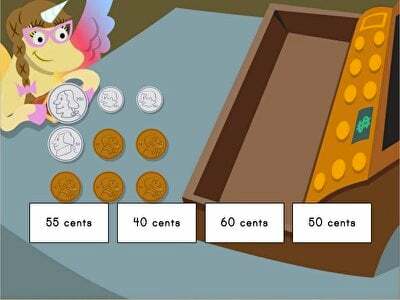 Kids identify US coins in this interactive money math game. Review money topics with this nifty practice quiz covering counting coins to solving word problems. 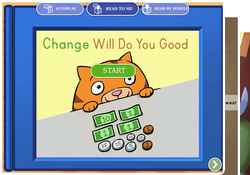 Kids must order coins according to their values in this interactive money math game. 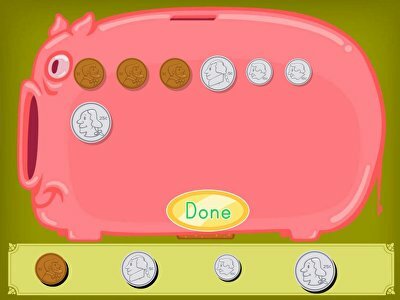 Kids practice counting up coins and adding money to this virtual piggy bank. Money makes the world go 'round, but do your students know why money is important? 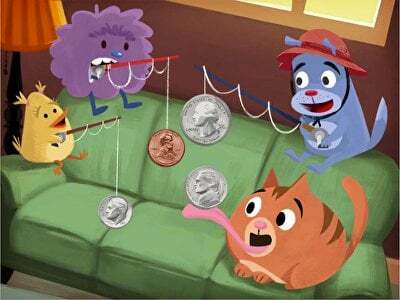 In this lesson, students will learn the real world applications of money, as well as how to make a dollar with various coins. 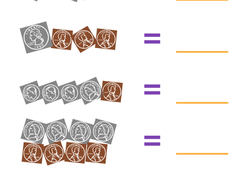 Help your students learn to count money with this teacher-approved lesson. They'll love learning how much their favorite things are worth. Kids count up the coins, then circle the correct amount. How much does that hamburger cost? Give your little spender a hand in counting up coins and dollars to equal an amount. Help your little one build money sense with this exercise about adding coins and dollars to pay for these items! 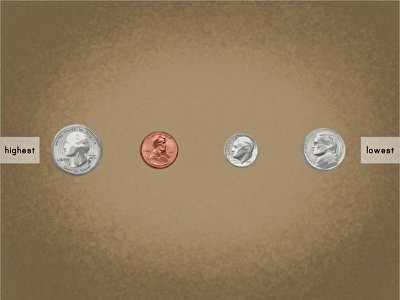 Coin Challenge: What's the Change? 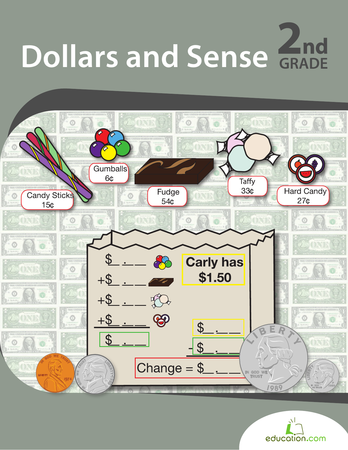 Build your second grader's money sense with this worksheet all about counting and making change. Super shoppers, put those money-counting skills to the test! Your student can practice adding dollars and coins to come up with the right amount to buy an item. 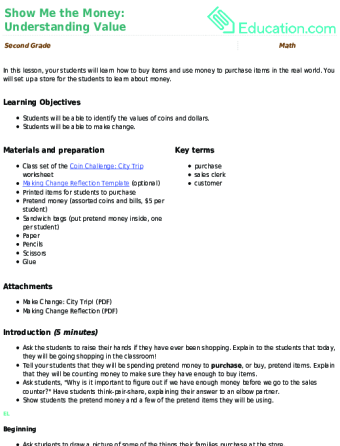 In this lesson, your students will learn how to buy items and use money to purchase items in the real world. 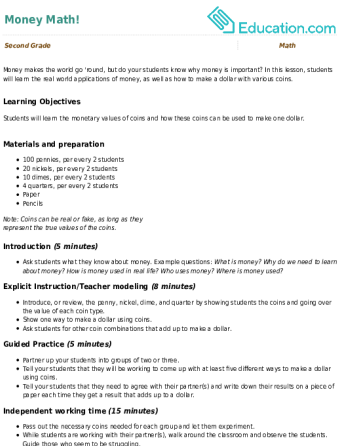 You will set up a store for the students to learn about money. How much does that jacket cost? Your child will add up coins and dollars on this worksheet to find out how much each item costs! Get out your coin purse, it's time to do a little math shopping! How many of each type of coin do you need to afford these items? Being able to identify and count coins is a valuable skill for kids. 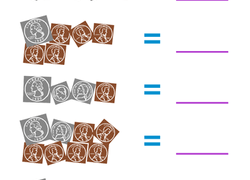 In this worksheet, your child will count coins, then write their total values on the lines. 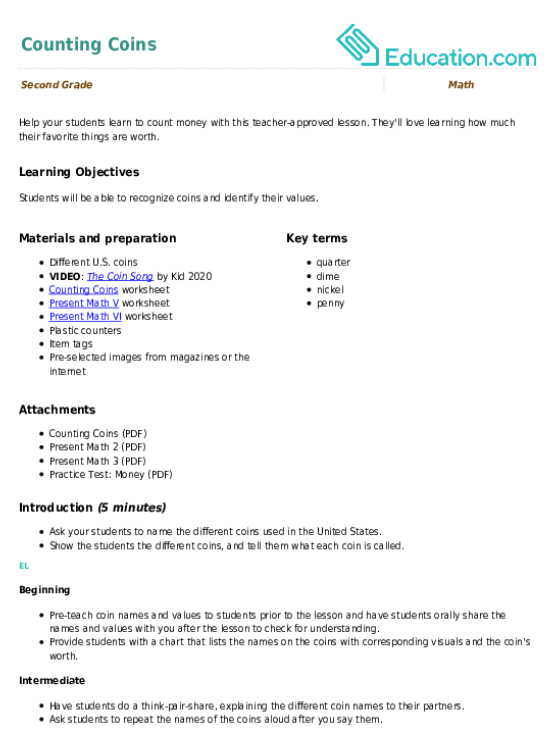 Help your child master coin counting with this fun second grade worksheet. 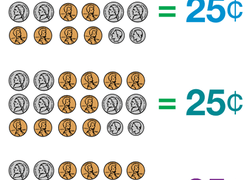 Your child will select the coins that equal the price listed on each present. Is your child a money whiz? In this fun coin worksheet, your child will count each group of coins and write their total values on the lines. How Many Coins Make 25 Cents? Your second grader will be better able to recognize and add up coins after completing this fun printable worksheet. 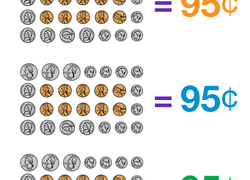 How Many Coins Make 95 Cents? Your second grader will have such a blast adding up coins on this colorful worksheet that he won't even realize he's learning! Just a roll of the dice, and your students will be learning how to count money! In this lesson, they will be become familiar with the value of money. Give your little financier a hand with adding coins. He'll add coins in his head and tally the amount to figure out the price of the item shown.